Summer camp transportation isn’t the first thing that comes to mind of campers, but it is vital to your camp business and in fact, part of the summer camp “experience”. Camp organizers are charged with organizing a summer full of fun for the kids – a challenging yet rewarding endeavor. One of the many issues on your plate is how to transport the kids at camp reliably and safely. By providing this transportation service as an option for all camp attendees, you can increase your enrollment and improve attendance with door-to-door service. Parents are more apt to select a camp that includes transportation to and from the campsite. Attendance would improve as well, since the child’s transportation option is not solely linked to the health of the family car. Having this bus service option is a huge help to busy parents everywhere who will no longer have to juggle their hectic schedules to get their kids to camp on time. By providing a routine bus schedule, the camp can operate more efficiently with all of the campers arriving together. The kids traveling together on these coach buses will enjoy this extra time together as they bond and deepen their friendships. Kids will remember these trips fondly and associate them with their summer camp experience. It’s certainly more fun to travel to camp surrounded by dozens of your closest friends than quietly in the back seat of the family minivan. 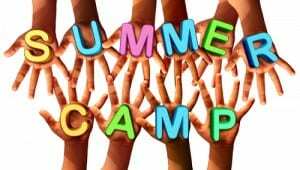 Everyone wants to have a pleasant summer camp experience and the last thing you want to worry about is how your campers are getting from point A to point B. Our professional drivers will work with your camp councillors to maintain order while providing a safe environment for all. Getting all of the kids to camp with a routine bus schedule will help the camp plan their day and activities accordingly, maximizing your time while delivering the best value (and entertainment) to your campers. This convenience will certainly be appreciated greatly by parents as well. Renting our buses to handle your summer camp transportation needs in the Greater Toronto Area can help improve your enrollment, attendance and scheduling. The kids will enjoy this experience by spending a little more time with their friends, and having the chance to share their stories to and from camp. Parents will love knowing that their kids can get to camp conveniently and safely. Whether it is daily service or for camp trips – it is less costly than you might think and getting a free quote is easy!